Whether you’re operating a food truck or running a white tablecloth establishment looking for its first Michelin star, chances are that business accounting is not among your favorite tasks. 70 percent of owners who received monthly financial statements were profitable. 75 percent who tracked weekly food and labor costs were profitable. 72 percent who tracked inventory at least monthly were profitable. Fortunately, there’s software for that. In fact, there’s quite a bit of accounting software available, but sooner or later, most businesspeople try QuickBooks. One of the primary advantages of QuickBooks is its ubiquitous nature. Because so many businesses use it, there’s a lot of information available, including Sheltra’s own training package and a thriving online community. 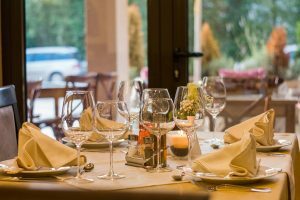 Of course, the caveat is that the attempt to appeal to all businesses means that it’s not perfectly suited to some of the specific accounting and information needs of the food service industry. Recording sales. Not as simple as you might think. You need to set up your software so that a single sales receipt presents data to the right accounts for food, liquor, deposits and sales taxes. Paying vendors. When set up properly, QuickBooks gives you reports on unpaid bills, the amount owed, and their due dates. You can also sort by each vendor to give you a record of your transactions with a specific supplier. Payroll. QuickBooks is well positioned to help your unique payroll issues when it comes to recording wages and tips and the tax liability that will occur. Reconciliation. After the daily sales are recorded, the credit card and cash accounts need to be moved to a deposit account so that you can reconcile those amounts with your bank account. As with most software, time spent learning and implementing the program will be rewarded with accuracy and ease of use afterward. Sheltra Tax & Accounting, LLC specializes in Restaurant accounting as well as other specialized industries. Sheltra can train your office manager or bookkeeper or handle all of the accounting functions for you. Last, but not least, your year-end tax sessions with your preparer will be much less stressful when all you have to do is present a file. For more information on business accounting or tax preparation for your restaurant, contact Sheltra Tax & Accounting, LLC at (802) 878-0990. This entry was posted in Blog, Bookkeeping, Payroll, QuickBooks and tagged accounting, bookkeeping, business, QuickBooks on December 30, 2016 by Diana Sheltra.